Regina Cassandra is having a good run at the Box—Office right now as her recent release 'Silukuvaarpati Singam' is doing well at the Box-Office. In this case, Regina has shocked everyone by acting in a movie and the latest still has just added fuel to the fire. As per reports, Regina is playing Sonam Kapoor's Love Interest in 'Ek Ladki Ko Dekha Toh Aisa Laga'. When the teaser of the movie released, everyone expected it to be a romantic flick between Sonam and Rajkummar Rao. But now it seems the movie is about a lesbian. 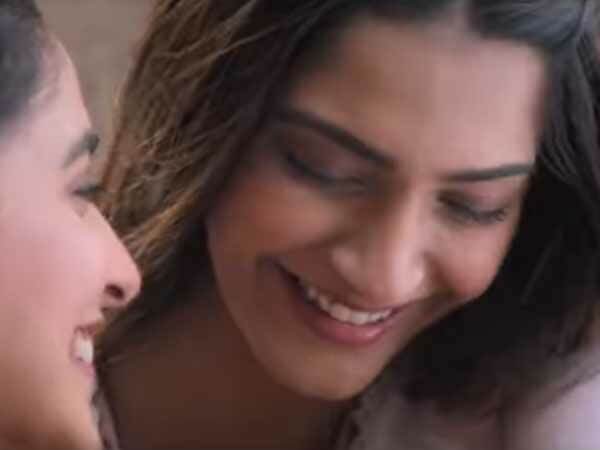 Even though the hero falls in love with the heroine, the heroine has a secret love and the trailer reveals the glimpses of her sexual choices. Shelly Chopra Dhar is directing this venture and this is the first time Regina is doing such a role. Regina was expected to make her Bollywood debut with 'Aankhen 2' but that didn't took off.